AVOX 4, Other effects bundle or multi-effect from Antares Audio Technology. The AVOX vocal processing bundle is now available in version 4, an update that adds to the list of processors the Mic Mod EFX microphone modeling plug-in. AVOX 4 now features 11 plug-ins dedicated to vocal processing. The bundle is available in VST, AU, RTAS and AAX 32 and 64-bit formats on Mac OS X and Windows and requires an iLok USB dongle. 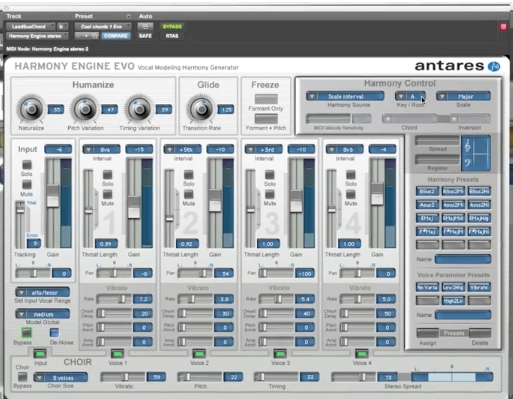 Its regular price is $339 but updates are available for registered users of AVOX Evo ($79 or free if purchased after May 1st, 2013), AVOX 2 ($99), AVOX 1 ($199), Harmony Engine Evo ($199), Harmony Engine ($249) or Mic Mod EFX ($299). 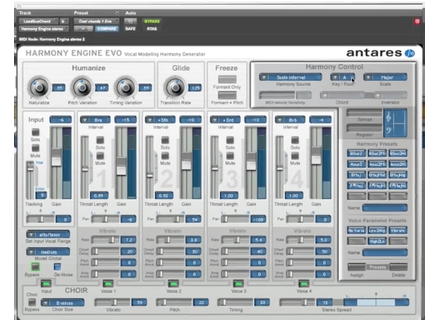 Antares also released the AAX 32 and 64-bit plug-in versions of Auto-Tune 7, Harmony Engine Evo and Mic Mod EFX. Last, if you purchase or upgrade Auto-Tune to version 7, AVOX 4 is available for $199. More info about these news at www.antarestech.com. MultitrackStudio 7.5 now controllable via iPad Bremmers Audio Design updated its MultitrackStudio DAW for Mac and Windows to version 7.5. Rosegarden updates its DAW on Linux The Rosegarden "Joie de Vivre" DAW for Linus has been updated to version 13.10, which adds several new features and fixes some bugs. The MSI UltraComp is now free Minimal System Instruments has been offering for a few hours its UltraComp compression VST plug-in for free.